Huge thanks to Netgalley and the publisher for giving me a free e-copy, in exchange of an honest review. This was likely the most adorable book of 2016 for me, hands down. The cuteness melted my freaking heart. MY HEART. I didn't even know I still had one until all these FEELS attacked me and unfreezed it. Norah and Luke together were such a wonderful pairing, oh my god. I couldn't deal with their cuteness. I mean, sure their scenes weren't all sunshine and unicorns, because both of them were really awkward and Norah was so so SO anxious and uncomfortable many times. But, to me, it was obvious that they liked each other enough to still want to be together despite all that and that just made me beam like crazy. All the relationships were incredibly well-done, which is actually pretty rare in YA (for some unknown reason), but my favorite has to be the one between Norah and her mom. Man, were they one powerful duo! A thing I see in some novels that tackle mental illness is the parents being incredibly nosy, unhealthily so. Well, not Norah's mom! It was obvious that her daughter could and would - because there's a huge difference - come to her for advice if needed, and she would be glad to help, but she didn't try to horn in on anything and everything. On the contrary, she was an absolute angel, making sure Norah was alright at all times, but I never felt like she acted as though Norah was a baby, incapable of making decisions for herself, because of her illness (which, again, is something I've seen before). I love books where the characters aren't ashamed of having to go to therapy and know that this is for them to get better, especially when this is accompanied by said characters taking therapy seriously. Also, great therapist are always SO WELCOMED (duh), and Norah's was definitely a really good one. As someone who's never had to live with either agoraphobia or OCD, I'm not the best person to decide if it was portrayed realistically or not. 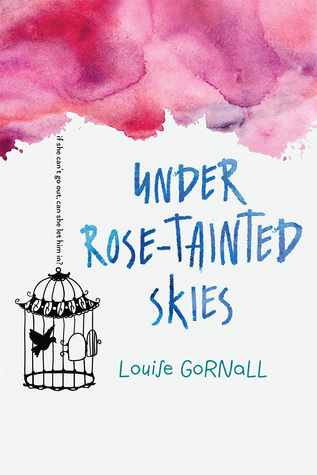 However, I can say that with confidence that Louise Gornall poured her heart and soul into this novel, with that creating a raw and unapologetic portrayal of Norah's mental health. I'm also confident that this is the book to read if you're trying to get a better understanding of OCD or agoraphobia - as much as anyone can understand such a thing without having to go through it -, because Norah's story is more touching and, in a way, relatable than any novel I've ever read. Overall, Under Rose-Tainted Skies is definitely one of my favorite books of 2016, and it also joined to my Best of the Best shelf on Goodreads. Why, you might ask, seeing I had that one problem with it. Because it was real, emotional, hopeful and such an empowering novel about the struggles of a truly strong young woman and she conquered them. OMG SOMEBODY GIVE ME THIS BOOK, I SUDDENLY WANT IT SO BAD. 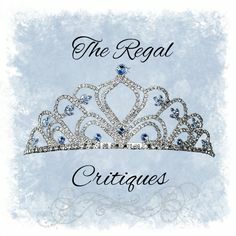 I just went up to Goodreads and immediately added it to my TBR while reading your review. It's the perfect kind of book I am in love with. Mostly because I love reading books about mental health, especially with ones that I've personally experienced myself. I had brief agoraphobia many years ago, and it was terrible because I had to suppress a lot of anxiety attacks. (Luckily, I got over the fear). :) Seeing that the protagonist has agoraphobia herself (and falls in love with someone like Luke) makes me want to read it so bad. Yay!! So glad I convinced you to pick this one up in my review! It really is a wonderful novel that deserves all the hype in the world - beautiful relationships, writing and characters. Hope you'll love it!